An Islamic cleric in Gaza has issued a religious edict declaring it a sin to violate the truce arranged last week between Israel and Hamas. An Islamic cleric in Gaza has issued a religious edict declaring it a sin to violate the truce arranged last week between Israel and Hamas. The fatwa – a religious edict – was ruled by Imam Suleiman al-Daya late Saturday. The decision lends religious legitimacy to the ceasefire agreement and under Islamic law, could justify any action by Gaza's ruling Hamas terror organization to enforce it. The agreement is fragile at best, in part because much of the language is vague. On the Israeli side, the clearest point is that relating to rocket, mortar and missile fire. “Any fire emanating from Gaza will be considered a violation of the agreement,” Israeli government spokesman Mark Regev told Arutz Sheva on Sunday morning when asked whether the agreement applied to all terrorist groups in the region. 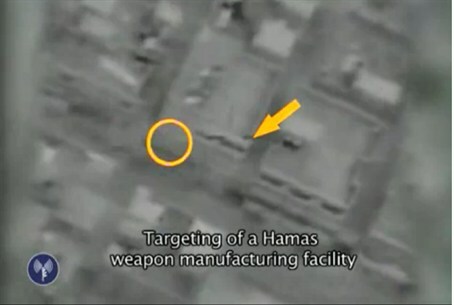 However, the import of weapons to the region has not stopped, nor has production, according to Hamas officials. In fact, Iran indeed has loaded a ship with new missiles to replace those destroyed by Israel in its eight-day Pillar of Defense counter terror offensive, the London Sunday Times has reported. The ship was spotted by Israeli satellites. There have already been numerous violations of the ceasefire declared last Wednesday, including at least 20 rocket attacks and a violent incident Friday night that ended with IDF soldiers firing into the air. Local Gaza sources later said that one local man was killed by the IDF fire and several others were wounded. The IDF Spokesperson noted the soldiers had been forced to fire in the air in response to the disturbance caused by Gazans along the security fence at the border with Israel. Hamas has since temporarily deployed unarmed police along the Gaza side of the border to prevent further incidents that might imperil the truce, sources told AFP on Saturday.